Thursday, August 2, 2012 . When you speak of “mixologists” in the Atlanta area, there are a few pioneers whose names come to mind. 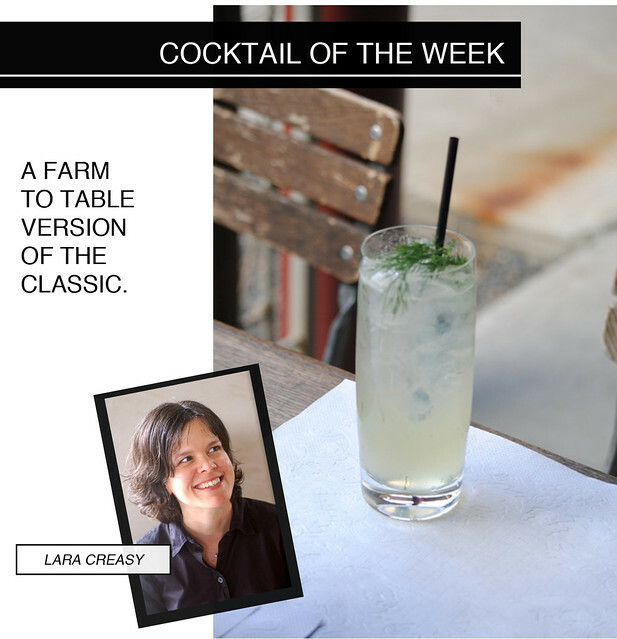 Lara Creasy is one of those individuals who helped pave the path (and whet the appetite of Atlantans), by crafting some seriously delicious cocktails for Shaun’s, Watershed, JCT Kitchen, and No. 246. You know, the creme de la creme of cool restaurants. I think we have her to thank for enhancing the Atlantan dining experience…there was a not-so-distant time when well-crafted cocktails weren’t that big of a part of the dining occasion. 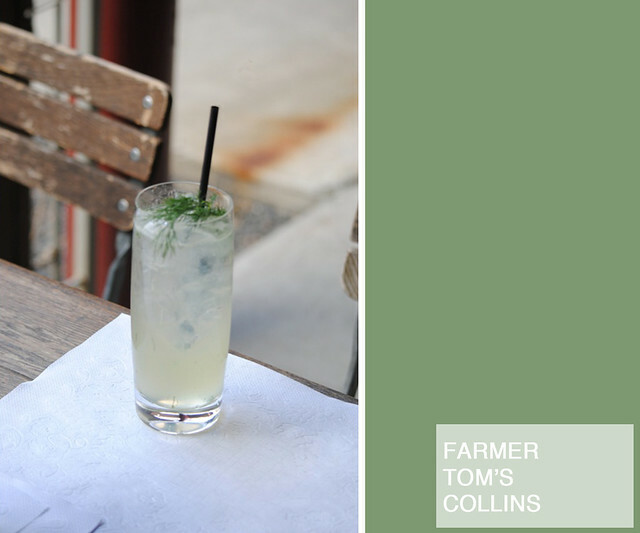 We’re so excited to have her with us, sharing her version of the Tom Collins. Muddle fresh basil and thyme in a mixing glass. Add gin, lemon, syrup and Herbsaint. Add ice and shake well. Strain over fresh ice into a tall or Collins glass. Top with soda water. Garnish with a sprig of fresh dill and a sprig of thyme.